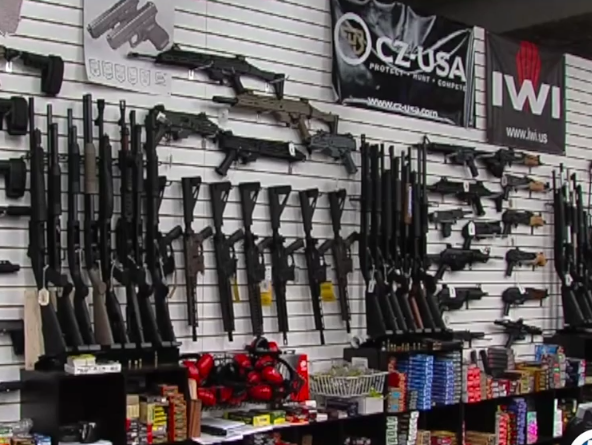 An effort is underway to put a proposed ban on assault weapons before Florida voters in 2020. Ban Assault Weapons Now, a group based in Miami, is now raising money and preparing to start a statewide petition drive. "I’m aware of the petition drive. I just got off the phone with the director of ban assault weapons now,” says Jeff Kasky, president of the political action committee Families vs Assault Rifles in Palm Beach County. The proposed ban defines assault weapons as any semiautomatic rifle or shotgun that holds at least 10 rounds. “Ultimately, we’re talking about taking the Second Amendment off the table,” says Alex Skhop, owner of the Guns and Range Training Center in West Palm Beach. Skhop says any ban misses the real cause of mass shootings. "It’s easier to take the gun away, but if you start talking about mental illness that's a very expensive subject," said Skhop. Any effort to get the ban on the 2020 ballot is likely to take close to 800,000 signatures on the petition. Kasky believes it’s worth the effort. “People have been calling for this for years,” said Kasky.